Control Protocol: RHCSA "Cheat Sheet"
I've got the RHCSA scheduled for June 8th.Originally, I was scheduled to take the exam back in early April, but I had two classes cancelled on me. As it turns out, if the RH200 5 day class isn't booked by at least 4 people, the class and exam are cancelled. Consequently, it's best to call and book over the phone in order to see which classes are "GTR" or guaranteed to run. In my final preperation for the RHCSA I've gone through and found some good references for a "cheat sheet," pulling from Michael Jang's RHCSA/RHCE study guide as well as this fantastic wiki: http://rhce.co/rhel6/Main_Page for those seeking their RHCSA.The RHCE portion is incomplete, but the RHCSA part is complete and only slightly outdated. It is a fantastic resource. Between those two sources, notes from Tommasino's Hands-on Guide to the RHCSA/RHCE, and my personal knowledge, I put together this study guide based on the RE200 exam objectives as of 2012 05 15.
click on connect if not connected. 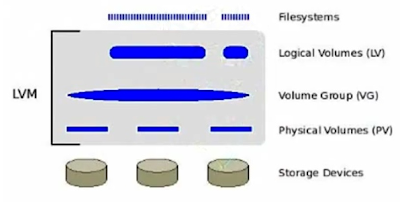 See the next section - "Create and remove physical volumes, assign physical volumes to volume groups, and create and delete logical volumes." A Physical Volume is a partition configured with the LVM type. PVs are made up of Physical Extensions. Allocate a portion or all of the volume group for a logical volume. The LV can then be formatted with a linux file system and mounted. An assumption is made that there is a newly formatted PV to add to the VG that is to be expanded. Extend the VG to include new partition. ***Don't do this on the exam, unless instructed too!!! The file now has an "s" where the x is in group priv. in this case we use the "g" option instead of "u"
#ls -al | grep "^-rw-x"
-M <days> Maximum valid days. Combine with a -d number less than -M, the pass must be changed. -d <days> days since 1/1/1970 when password was last changed. 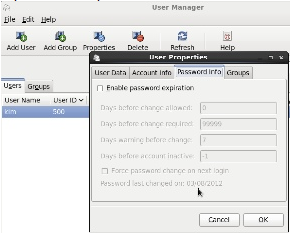 -I <days> number of days after expiration before account lockout. if a 0 value, account doesn't lock. -E <date> account lockout date format YYYY-MM-DD. The number of days since January 1, 1970 can also be used. select "use LDAP" and "use LDAP authentication"
# semanage fcontext -a -t httpd_sys_content_t "/www/testsite(/.*)?" If issues arise with SELinux blocking an application (look in /var/log/audit/audit.log) and file context are correct, check selinux .booleans. semanage fcontext -a -t httpd_sys_content_t "/www/test/public_html(/.*)?" Good job! Thanks for taking the efforts! Excellent Job. I'm taking RHCSA exam next week, wish me luck. Thank you very much for posting this. This is better than a Schaum's Outline! 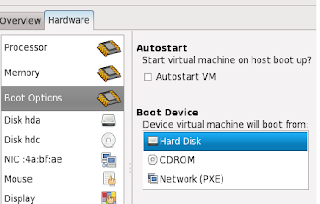 There is now a new free resource about RHCSA & RHCE (and even RHEL7!). Have a look at http://www.certdepot.net.